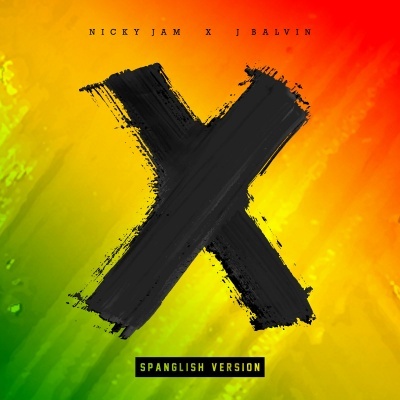 Nicky Jam, a pioneer of the Urban Latin movement and a globally recognised music icon, has released a special Spanglish version of his hit, “X” - featuring Colombian singer J Balvin. The original of “X” already sits as one 2018’s most lauded and universally adored anthems - boasting over 600m YouTube views, sitting at #1 in 10 countries on Apple Music, at #1 on the Top 100 Global Shazam charts and even reaching #9 on Spotify’s Global Top 50 chart. It’s also responsible for an international viral campaign named the ‘X Challenge’, with millions of people (including celebrities such as Will Smith) getting involved in the trend to reenact the choreographed dance featured in the music video. Also featuring is Colombian musician J Balvin, who recently collaborated with Liam Payne for ‘Familiar’ and joined Beyonce on stage at Coachella to perform their track, “Mi Gente”. Nicky Jam’s rise and fall story is the story of his genre itself: great fame, hard times and artistic rebirth. As one of the founders of the Urban Latin movement, Nicky Jam began recording music at the age of 11. As a young adult, he quickly rose to the top of his genre creating some of the biggest hits of the early urban movement in the 90’s. Just as he was starting to enjoy his hard-earned accomplishments, his life took a 180-degree turn and he decided to move to Colombia to rebuild his career. After being out of the limelight for 10 years, he released his album Fenix in 2017, now certified Diamond in the U.S. by the RIAA. It contains the biggest singles of his career that are all Multi-Platinum certified: “El Amante” (13x Platinum), “El Perdón” (27x Platinum), and “Hasta El Amanecer” (22x Platinum). Following the recent success from single “X”, Nicky has now turned his focus to the UK. He will also soon be releasing his next album in addition to a bio- series based on his life titled “El Ganador”. The scripted drama will stream on Netflix everywhere except the U.S., following its premiere this summer on Telemundo.